• Upper Control Shut-off provided at turntable. • Three Control Levers at the turntable and basket with a dead-man at the basket. • Engine Start/Stop from Basket. • Basket levelling by glass rods and chain parallelogram system with easy service access. • Rotation by hydraulically driven spur gear with shearball rotation bearing. • Integral Holding Valves in each cylinder. • Non-conductive hoses and fiberglass rods provide levelling and control through the insulated boom section. 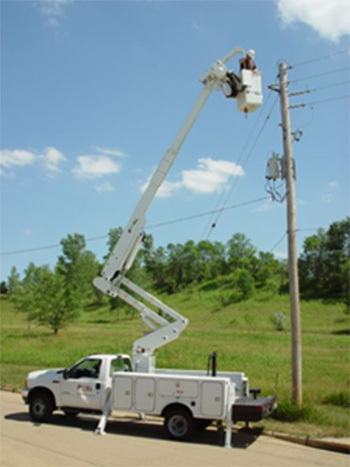 • Upper Boom constructed of fiberglass and rated for work voltages to 46 kv and below. 57 ft. Working Height (Dur-A-Lift’s Highest Yet!) 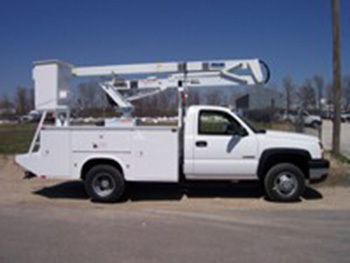 25,999# GVWR Chassis Minimum Requirement Under CDL. Approximately 6500# capacity left after upfit. Small foot print with just front outriggers. (Keeping costs down) Fully extended outrigger spread of only 127″. 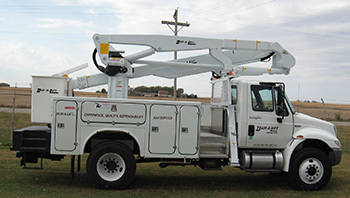 Option to have 180 degree basket rotator with side mounted Jib and Winch. Upper controls located in one pod at the basket. 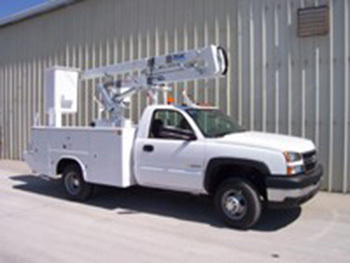 Upper control linkages have the option to be made of non-conductive material. 2 yr. Standard Limited Warranty on Parts and Labor. • Full pressure proportional controls. • Electric/Hydraulic on non-insulated models only. • 5 GPM pump requirement. 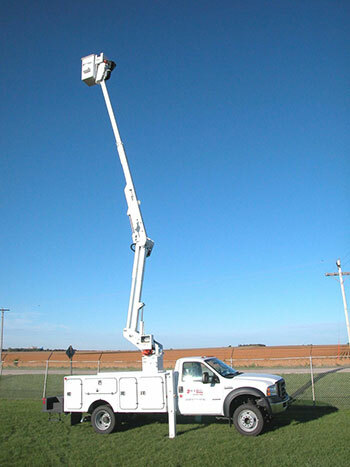 • Telescoping and articulating boom action. 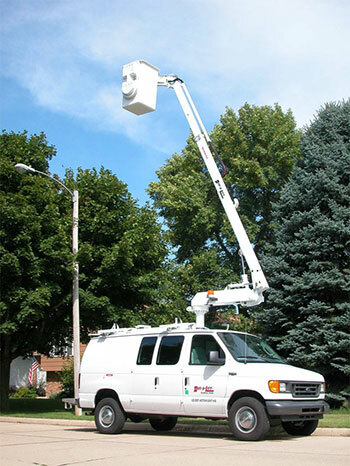 • Offset main boom reduces travel height. 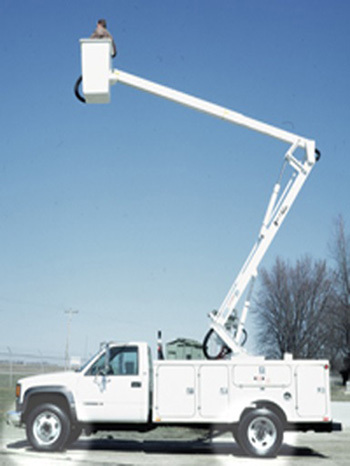 • Articulating boom and turntable will not exceed width of chassis mirrors. • Shear ball rotation driven by fully enclosed worm gear box. • 46KV Category “C” on insulated models. • Safety harness and lanyard.